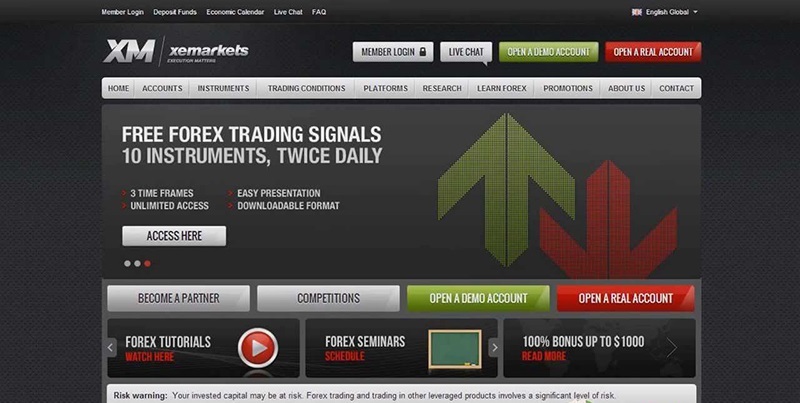 Founded in 2009, XM Broker is focused on online trading in financial markets. XM.COM is a registered trademark and brand of Trading Point Holdings Ltd. XM.COM is officially registered as an EU broker. A novice trader or a newcomer who wants to test available trading strategies, can open an MICRO account. This type allows carrying out trading activities for real money, providing an opportunity to make a profit at relatively low risks. With MICRO account, one can trade in micro lots. The minimum deposit for opening an account is very low – 5USD. For experienced and professional traders with deep understanding of financial markets, a STANDARD account is available. The requirements for the initial investment amount are also relatively low. To open an account 5USD are enough. To increase profits, the trader can useuse standard lots. The XM Zero account means trading at ultra-narrow spreads, from 0 points, the average spread with EUR/USD is only 0.1 points. At there is a fee of 5USD per every $ 100,000 in the volume of transactions is to be charged. README! The credit leveraging in EUR / DKK, EUR / HKD, GBP / DKK, USD / DKK, USD / HKD, USD / CNH, EUR / RUB and USD / RUB pairs is set at 1:50 for all accounts. The company provides its customers with insurance funds. The investors ‘compensation fund’ insures clients’ funds in the amount of up to EUR 20,000. In addition, all clients are protected against negative balance, therefore one would not lose more than he or she invested. The Broker uses the MT5 XM platform that provides traders with all the same functions as the well-known MT4, as well as 1000 CFD per share, which makes MT5 XM an ideal platform for trading various assets. Depositing methods: bank transfer, plastic and debit cards (VISA, MasterCard, Maestro, UnionPay, XM), QIWI, WebMoney, Skrill Moneybookers, Neteller, WesternUnion. All account replenishment transactions are handled using SSL technology. XM pays the top-up fee at its own expense. Methods of withdrawal: bank transfer, plastic and debit cards (VISA, MasterCard, Maestro, UnionPay, XM), QIWI, WebMoney, Skrill Moneybookers, Neteller. Withdrawals are only available for verified accounts. In case of withdrawals conducted via bank transfer, the minimum amount for withdrawal is 200 USD. Commission for withdrawal of funds is paid by the company. Stable work. I use this broker 3 years, and there were no any breakdowns in that long period. The work is stable, what is very important for me, because trading is an only source of income for me. It was hard for me to make a choice of an online broker, as I’m not experienced in the field of investments. So, I decided to listen to my friend who was satisfied with the service. I’m really grateful for professional advice and explanation of the basic terms. Now I feel confident, and my money is working. I did not manage to comfortably trade on the cryptocurrency exchange. But here everything is as it should, all that is needed is at hand. Reminders, graphics settings, favorite color ... I can set indicators by several parameters. As a novice, the knowledge base and free literature was very useful to me. When I wrote questions in support, the reaction was quick - they sent a link where to look and gave short comments. It seems to be settled down now, I will continue to try. I want to start making money already.